If it’s not one thing, it’s the other when it comes to property maintenance and landscaping in Calgary. We’ve just finished dealing with an epidemic of ice dams, and now lots of us are facing yet another problem. Most of the snow is finally gone, but of course the weather gods can’t let us start enjoying spring just yet. A lot of us are looking at our grass in dismay, as snow mould is rampant across the city. Winter is tough on plants here in Calgary, and this winter it’s been worse than usual. But while pet damage is generally the biggest lawn headache we face after our spring clean up is done, this year we can’t even see the yellow spots for the layer of snow mould covering everything. And not only is it unsightly, snow mould can make spring allergies especially unbearable. The spores are not healthy to breathe in for anyone, but most especially for those already with breathing difficulties. If you are an allergy sufferer, we highly recommend staying out of your yard until after we perform a thorough spring clean up for you. If you do venture out to do some work, we advise wearing a breathing mask. Interestingly, snow mould doesn’t grow on top of grass, but underneath it. Snow mould appears as either grey or pink, and looks something like multiple circular spider webs laying upon the ground. Snow mould is actually made up of several forms of fungus called Coprinus psychromorbidus (cottony snow mould), Microdochium nivale aka Fusarium nivale (pink snow mould), Myriosclerotina borealis aka Sclerotinia borealis (sclerotina snow mould) and Typhula ishikariensis (grey or speckled snow mould). It thrives between the temperatures of zero to seven degrees Celsius and in moist conditions, which means (due to our massive snow pack) the last few weeks have provided the perfect growing conditions. Snow mould is harmful to grass, leading to dead patches reaching up to a couple feet in diameter. The good news is that if you get to it quickly, the damage should be minimal. The best way to remove snow mould is with a light raking to remove the majority of the fungus, followed by a deep power raking, aerating and fertilizing to encourage the growth of healthy grass. A thorough clean up in the fall can help reduce your chances of snow mould. Applying slow release, high nitrogen fertilizer combined with cutting your grass short and removing all organic debris like leaves and grass clippings. If you want your lawn ready for spring, you have to put it to bed correctly in the fall. If your lawn has dense thatch, which is spent grass growth, we will power rake it to reduce the feed stock that mould thrives upon. We will keep coming to mow your residential or personal property right up to when the grass is going dormant for the winter. Untrimmed grass will lay down under a snow load and become the ideal fodder for fungal growth. Thatch removal and grass trimming alone will not prevent snow mould entirely. It is imperative that decaying plant material not be left on the ground through the winter. Leaves left under a snow cover won’t break down, which provides a steady food source for snow mould. Leaves left on the ground over the winter will also physically interfere with the grass growing again come spring. Matted leaves from the previous spring can easily create dead spots in your lawn as water mixes with the tannins from the decay to form a weak acid that changes the pH of the soil beneath the dead leaves. There is literally no downside to having Mirage Landscaping perform a fall clean up, whether you are a residential or a commercial property owner. 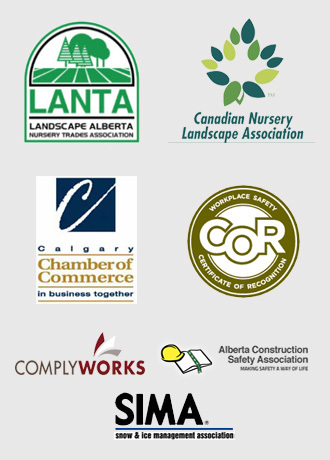 With over three generations of experience preparing our southeast Calgary landscaping clients’ green spaces for winter, we place the utmost importance on our customer relationships, providing courteous service, quality, and reliability for prices that are more than fair. Among our many services, we are pleased to provide very affordable Calgary spring clean-up and landscape maintenance packages. We are also experts in landscape construction. To get an idea of how well we work, please view our project portfolio. Discover just how affordable professional property care can be. 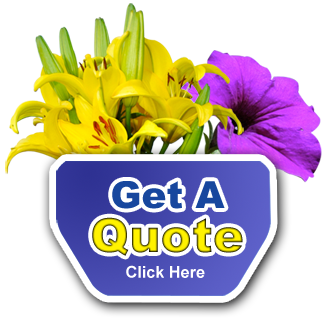 Contact Mirage Landscaping today to get a fast, free service quote.